Downtown living at an affordable price! 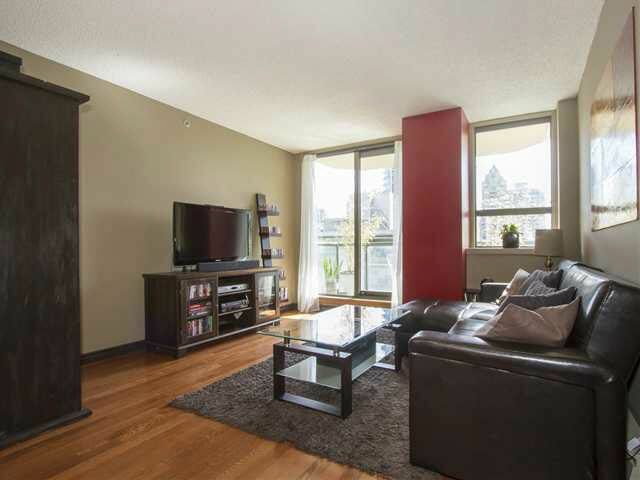 Great layout with generous room sizes this apartment has received many updates with rich engineered hardwood floors and designer paint. Renovated large kitchen with lots of cupboards, quartz counter tops, subway tiles and SS appliances. The bathroom includes marble countertop, new vanity with over counter vessel sink. All this and 2 covered balcony perfect for BBQing and relaxing. Re-piped. Full Rain Screen (2012), new windows & patio doors, new balcony membranes. 2013 updated common hallways and lobby. $400K elevators upgrades completed 2015. Steps to shops, restaurants & beaches. Parking $50/mth from strata. Rentals allowed; No pets. Showings by appointment only.